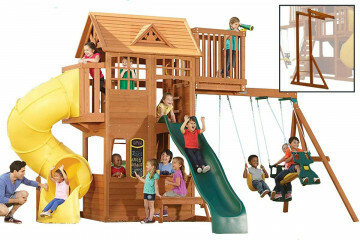 Kids wooden climbing frames with tube slides are one of our most popular features. 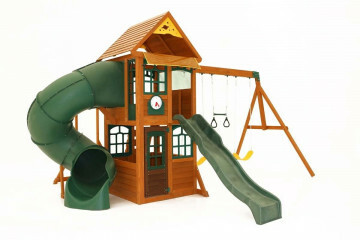 Suitable for all sizes of gardens, and all ages of children, the tube slide is fun and safe. 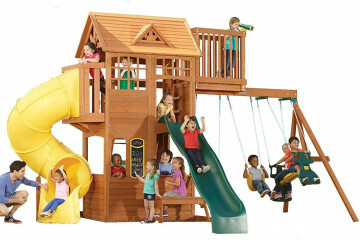 Our enclosed tube slides are the crème de la crème, providing a 12ft (3.65m) ride. 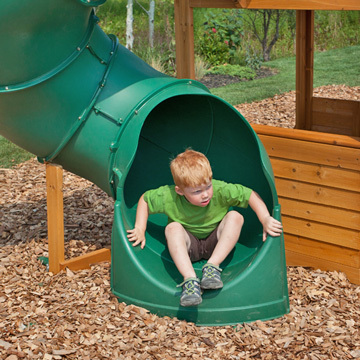 The amazing tube slide takes up minimal space in your garden but offers an amazing ride for your children! 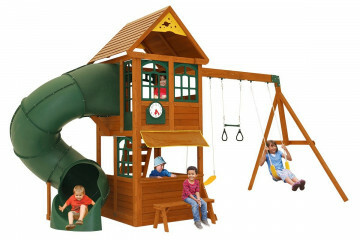 With almost a complete spiral in the middle and a flat section at the bottom, children can finish with their feet. Not their bottoms! Ready to go around again! With almost a complete spiral in the middle, and with a flat section at the bottom, children can finish with their feet (and not their bottoms!) on the ground, ready to go around again!